Dedrick’s Is Ready for Memorial Day! Warm weather is here, and with its onset, we can look forward to all kinds of fresh flowers and produce! A wonderful place to go to get some fresh flavor and color is Dedrick’s! 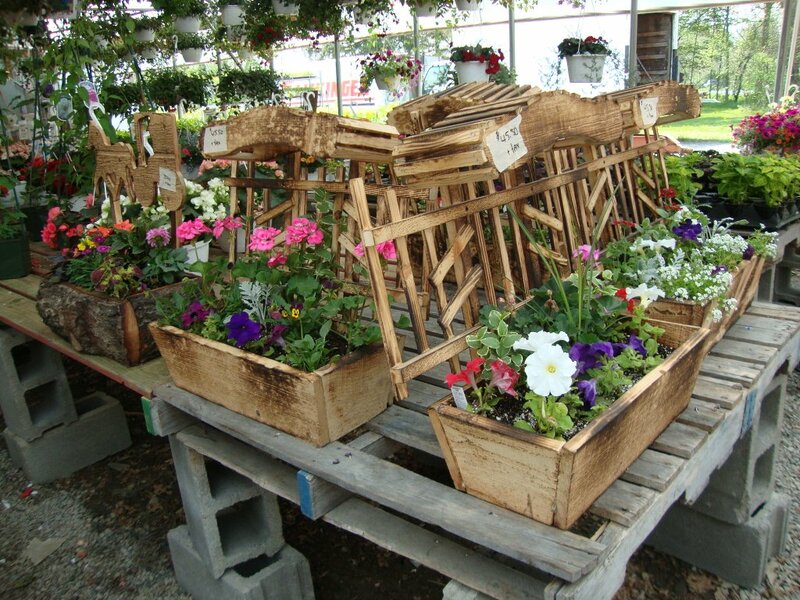 Now open for the season – Dedricks’ Fruit/Flower/Vegetable Stand, located just North of Dryden on Route 13, can provide you with a selection of fresh produce and flowers, including a main line of flowers such as petunias and marigolds, and fuchsias, as well as unusual varieties of flowers you may have difficulty finding elsewhere, including cosmos, tall snapdragons or wave petunias. 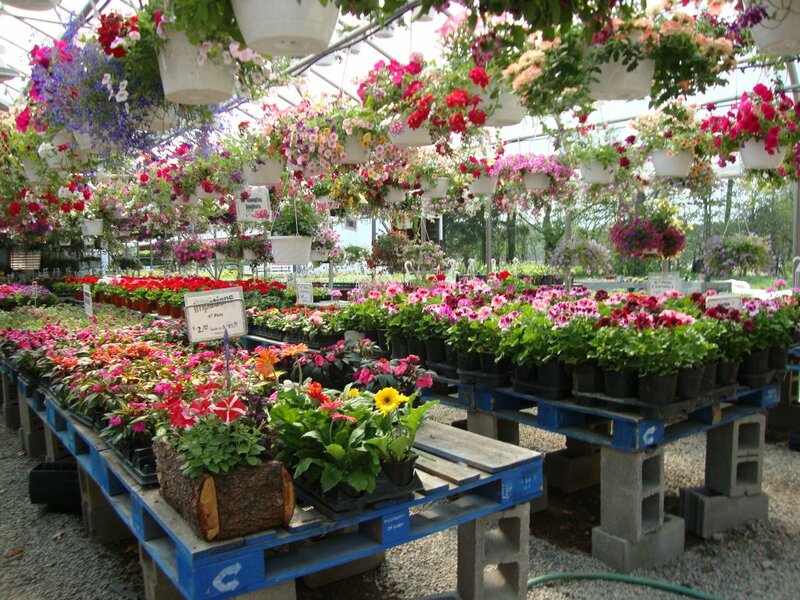 “We offer flowers that have been around for years, that are hard to find, and we also stay abreast of new flower varieties” says John Dedrick, owner . Dedrick’s has been a contributing business to the Dryden area for nearly 40 years. John Dedrick started his business on two acres of rented land in 1972. Since then, Dedrick has expanded his acreage, as well as the volume of product he carries. The Dedricks purchased the adjacent building, formerly a basket shop, when the people that owned it passed away. 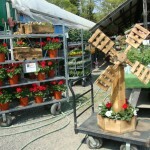 They also purchased land and added a larger greenhouse and more wagons. 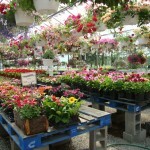 John Dedrick prides himself on providing the highest quality produce and flowers. Dedrick’s customer service and his staff are the things he is most proud of when it comes to his business. Dedrick enjoys meeting and talking with people. “I like doing business with honest people; the same people that appreciate me being here. It makes me feel good to be doing something right.” He likes the fact that his business is able to provide jobs for people as well as good quality products at reasonable prices in the local market. “Not just high quality,” he says, “But good eating quality.” Dedrick’s also helps support the community by donating to schools and many local organizations each year. Dedrick’s is open for business spring to late fall, always opening 10 days before Mother’s Day and closing on the last Saturday before Halloween. 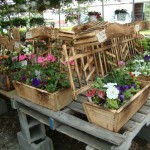 “We also close around July 4th for twenty-five to thirty days and wait for the home grown produce to come in. Then we open again around the 1st of August and stay open until the end of the season.” Dedrick’s has weekly and special sales throughout the year, which helps keep the prices reasonable. 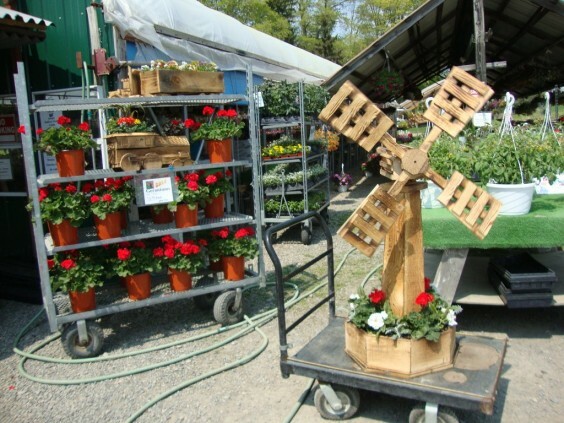 So if you are looking for fresh fruits and vegetables and a selection of nice, hardy flowers – including those that you can’t find anywhere else – stop down to Dedrick’s Fruit/Flower/Vegetable Stand on Route 13, across from the entrance to TC3, and “smell the flowers”! Dedrick’s will be open on Memorial Day and is open Monday through Saturday from 9am to 6pm. Closed Sunday. Dedrick’s does not accept credit or debit cards, so make sure to bring cash or checks when you visit so that you can purchase from the great bounty of fresh flowers, fruits and vegetables that Dedrick’s will be offering this year! John and Michelle look forward to seeing you this season!